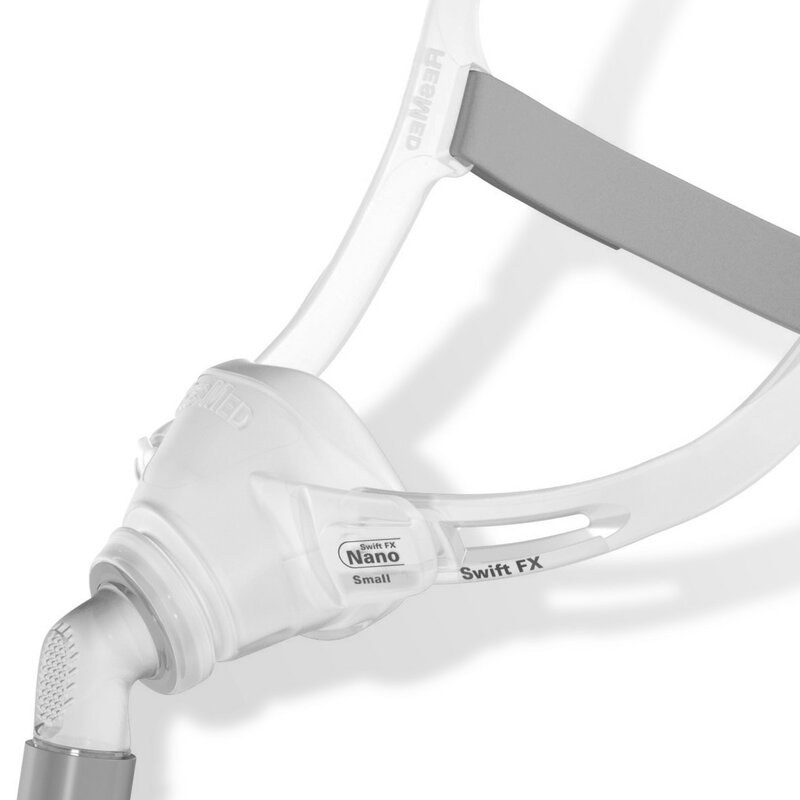 Combining the streamlined design the Swift FX with the comfort of a nasal cushion, the Swift FX Nano provides a natural breathing experience in an amazingly lightweight package. 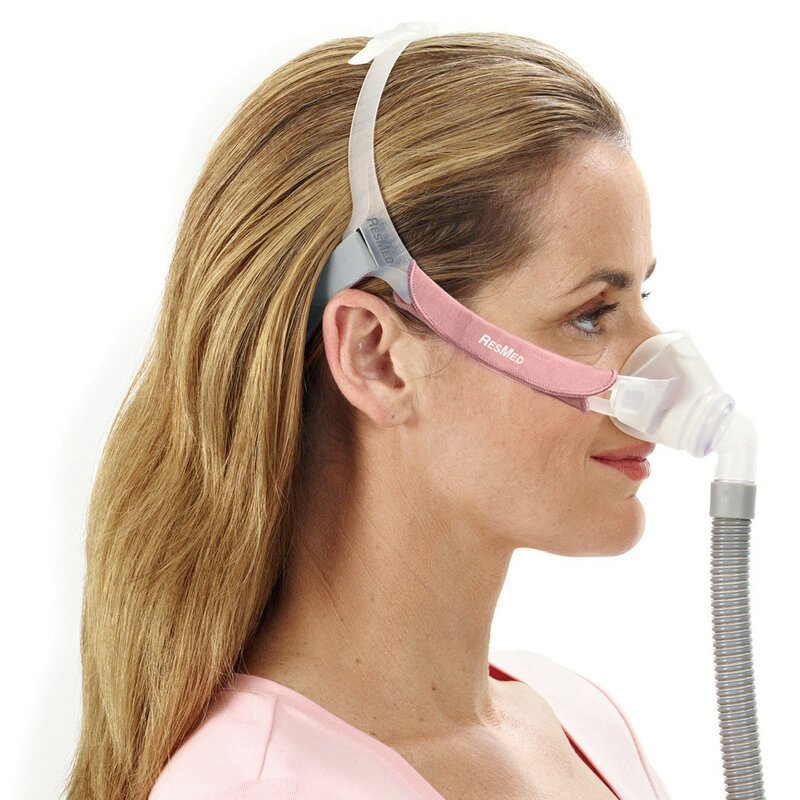 The Swift FX Nano is so light its easy to forget you have it on; and the open design provides a wide, clear line of site so you can easily wear glasses, watch TV, read, and enjoy life while using CPAP therapy. 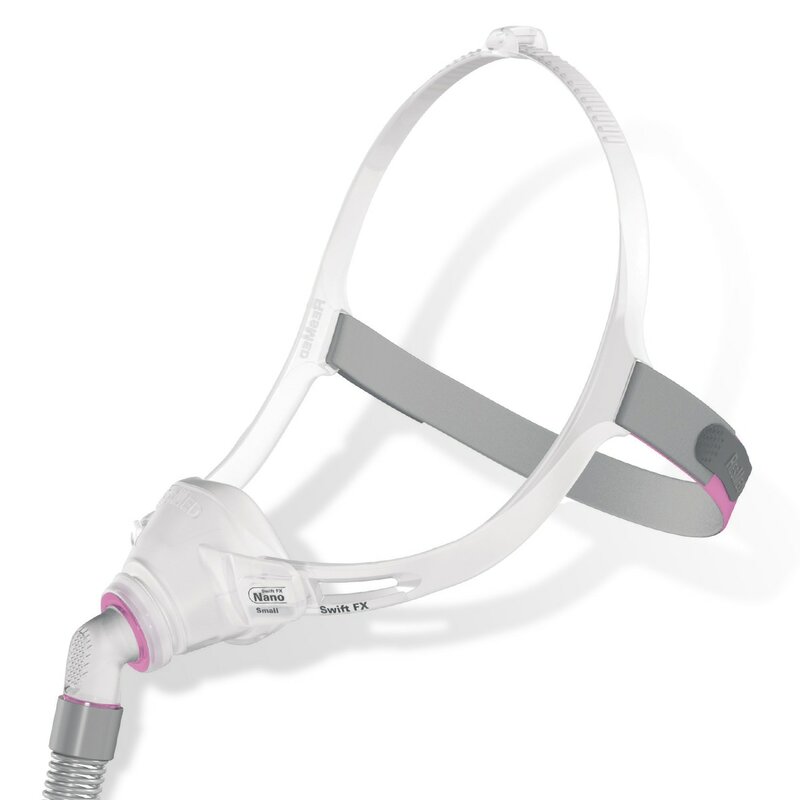 Compact, Lightweight, Open Design: The Swift FX Nano CPAP/BiLevel Mask features a compact design, made of ultralight materials, that flexes and moves with the you as you sleep. 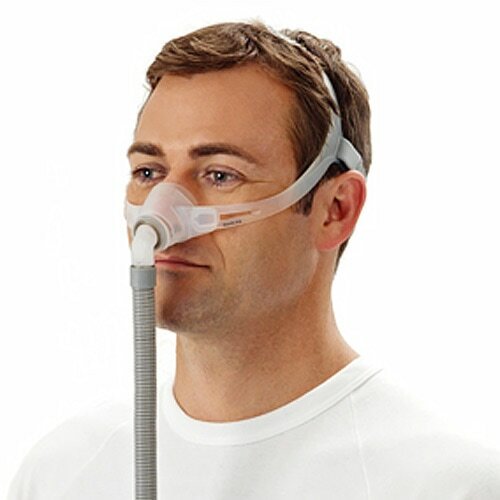 The simple, elegant design promotes a natural seal that requires minimal facial contact and has no rigid plastic frame or annoying forehead support. 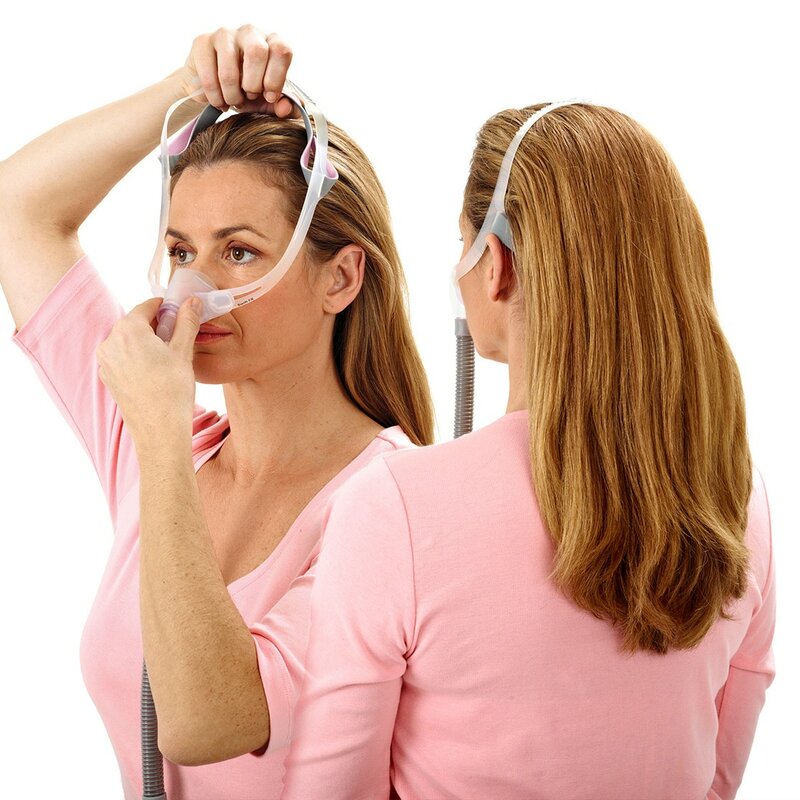 Low Profile Nasal Cushion: Swift FX Nano's nasal cushion is ultra soft and flexible to maintain a gentle, secure seal and provide a natural breathing experience without pinching, pressure or leaks. The low profile cushion shape minimizes facial contact while the dual-wall, SpringAir construction adds stability and support, distributing pressure evenly to improve comfort and reduce red marks. Two Point SoftEdge & Silicone Headgear: One of the keystones of the Swift FX Nano design is the brilliant, two point headgear. 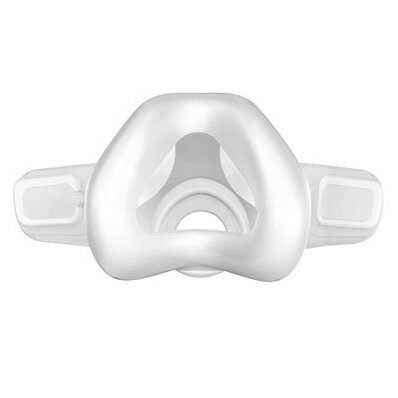 Two soft, silicone side straps connect the cushion to the headgear -- following facial contours and adapting your every move. At the back of the head a single, SoftEdge fabric strap makes fine adjustments easy. 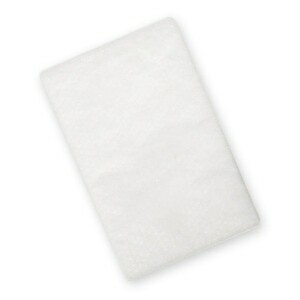 Cloth Soft Wraps are also included to personalize your headgear. Lock-and-Key Quick Release Tabs: Swift FX Nano headgear attaches to the nasal cushion using two lock-and-key tabs -- there are no buckles or clips to break or pinch -- just a quick twist and release. 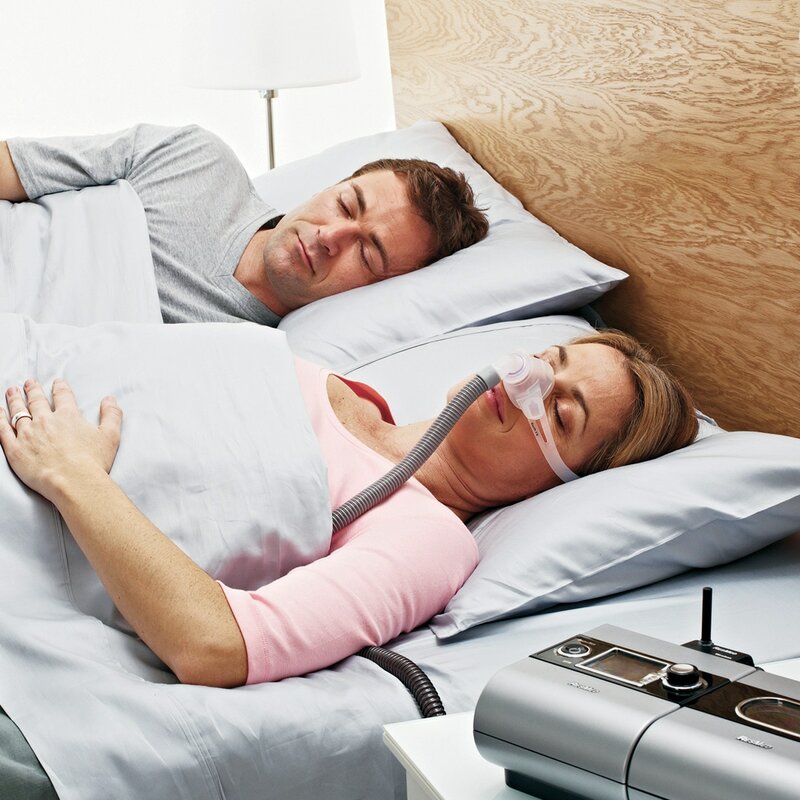 SpringFlex Tubing with Dual Swivels: ResMed's Spring-flex connector tubing reduces pull on the Swift FX Nano, bending and stretching to adapt to movement during sleep. A dual swivel built into the tubing allows 360º rotation for even greater reduction of torque and drag. Simple To Use & Easy To Maintain: With just 3 parts -- headgear, cushion, tube -- the Swift FX Nano is easy to assemble, easy to adjust, and easy to clean. Because all of the mask parts are soft and there is no hard frame the Swift FX Nano is great for travel too. 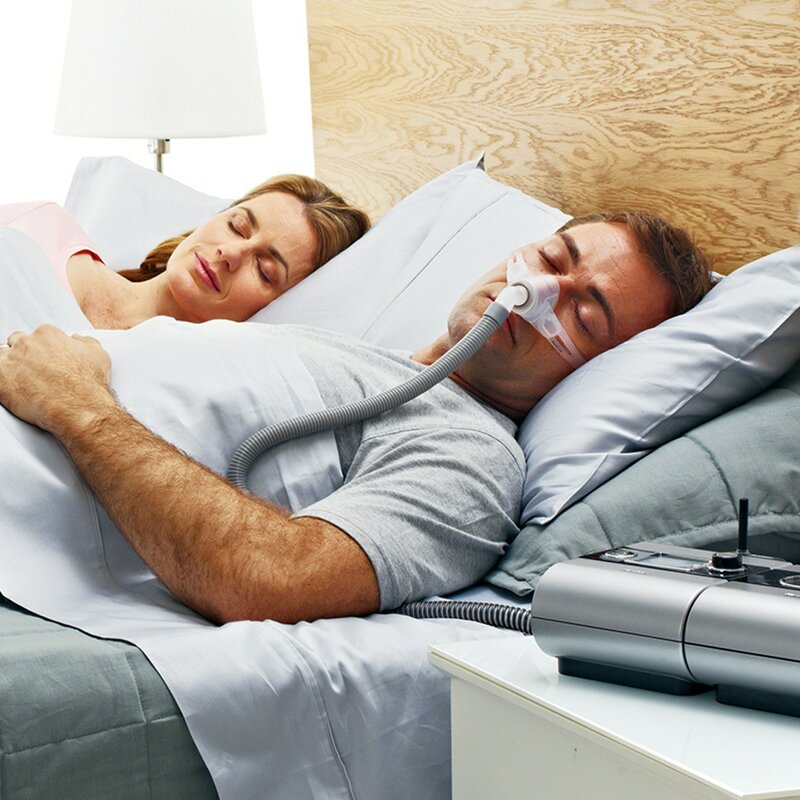 Quiet Diffused Venting & Performance Tiny whisper-quiet vents in the elbow of the Swift FX Nano gently diffuse air as it is exhaled -- reducing noise and distributing air away from you and your bed partner. Sized To Fit: The Swift FX Nano is available in packages with Standard and Wide cushions. A Small cushion is also available as a separate item for patients with smaller noses. For women the Swift FX Nano For Her is available with a small cushion and headgear with pink accents. 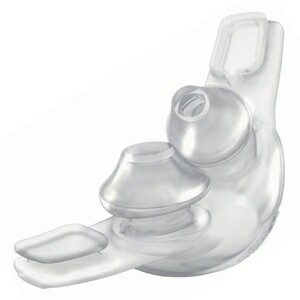 In The Package:Complete Mask with Cushion (Standard or Wide), Headgear and Soft Strap Wraps. 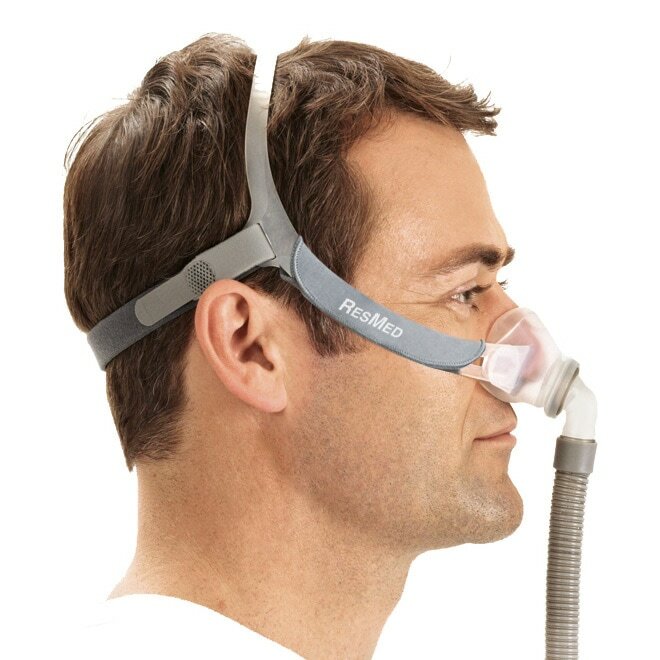 Even though I like the concept that I can wear my glasses while having the mask on but the mask hurts my top lip and bottom part of my noise. 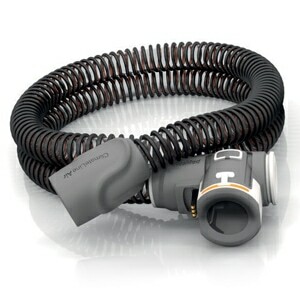 Not invasive on nape of neck or jaw, making it less cumbersome. Still annoying to wear a mask, but compared to a full face mask, it's much more tolerable. Could not get it adjusted so it would not leak. Had to return it. The mask does not seal well. Leaks. 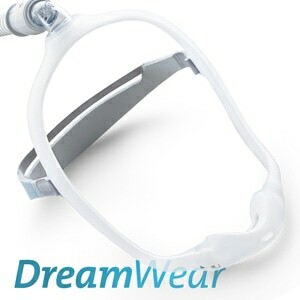 I was looking for something light weight, small in size, comfortable and be leak free when sleeping in side position. This fulfilled totally my need. I was concerned about the design of plastic strap that goes over the head which may not hold the grip with use over time. Within few days it became loose and will not hold it in place. I wish company change the design of this piece and replace it with second blue strap which goes around the head. If they do, I will be a loyal customer for life. 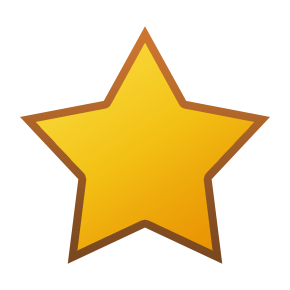 I would have given 5 stars for this product but for this issue. This came in the mail quickly, and I got it yesterday. I was hopeful that it would be all that it claimed and was not disappointed. You don't need to ratchet it down to get a seal. The soft seal is great. It expands and surrounds the nose well so worn loose it made a great seal. My nose was right on the line for standard or wide sizes. I went with the standard and it fits great. As others said, it is small, out of the way, and unobtrusive. It didn't shift much in my sleep while turning over. It's exhaust port is quiet. I will buy a second mask now for using in my travels. leaks too much air around the top of my nose. It now rests in my trash can. 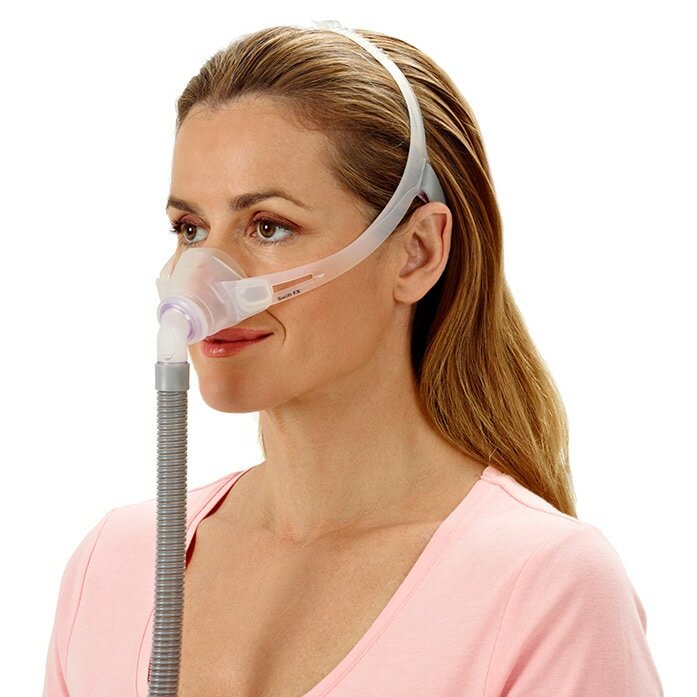 I would not recomment this mask to anyone that is a side sleeper. 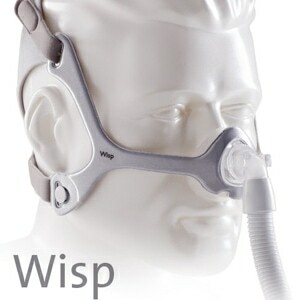 I have kept changing masks ever since my diagnosis with Sleep Apnea. For me this has been the best mask I have used. I wake forgetting I have the mask on. I believe the leakage is much less than any other mask I have tried.